What Are an Employee’s Rights Under California’s New Paid Sick Leave Law? Among the many new labor laws introduced into California’s Labor Code in 2015 was one that requires most California employers to provide paid sick leave to their employees. The law became effective in July of 2015, and provides for each California employee to receive one hour of paid sick leave for each 30 hours they work. The law, known as the “Healthy Workplaces, Healthy Families” Act, is memorialized in California Labor Code sections 245 through 249 and states that employees may use sick leave for “diagnosis, care, or treatment of an existing health condition of, or preventive care for, an employee or employee’s family member.” The law states that the employee isn’t required to find coverage for their shift in order to take sick leave, but if the employee knows in advance that they’ll need sick leave (such as for a scheduled medical procedure), they should provide notice to the employer as far in advance as they can. The employer does not have to ask the reasons that the employee is using sick days. Many California employees already received paid sick leave as a part of their compensation, but were reluctant to use it out of a fear that their employer would somehow retaliate against them, or even terminate them. However, the new law contains protections against this type of retaliation. Employers are not permitted to prevent an employee from taking sick leave, or to threaten them with discriminatory treatment, demotion, suspension, or termination for using sick leave that the employee has accrued under the law. If an employee lodges a complaint with the California Labor Commissioner, participates in an official investigation of the workplace, or otherwise opposes a workplace policy that’s prohibited under the law, and within 30 days of this, the employer discriminates against that employee with some negative treatment (such as demotion, suspension, or termination), then the employer will be presumed to have unlawfully retaliated against the employee. The fact that the employer is presumed to have retaliated means that the employer would have the burden of showing why the discriminatory treatment wasn’t intended to punish the employee for taking accrued sick leave. Employees who experience such treatment should speak to an attorney quickly to learn the next steps in pursuing a claim before any applicable time limits expire. 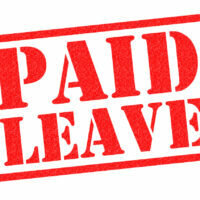 Some employers have historically required that an employee provide a doctor’s note when they take sick leave. For an employee paid a low hourly rate, a copay is often prohibitively expensive, and a doctor’s visit may not be necessary for a virus that will quickly run its course. According to opinions provided by representatives of California’s Department of Industrial Relations, since the law does not explicitly provide that employers may seek verification that an employee is sick, an employer could be seen as interfering with an employee’s right to take sick leave by requiring a note. Since the law considers it retaliation to prevent an employee from taking sick leave, the opinion stated that requiring verification could result in the employee filing a retaliation claim. If you are a Bay Area employer seeking assistance in ensuring that your policies comply with the California Labor Code, or an employee with questions about your rights under the law, contact experienced and knowledgeable Bay Area employment attorney Richard Koss for a consultation at either his San Francisco Peninsula office at 650-722-7046, or at his East Bay office at 925-757-1700.